Shine detangle repels dirt. For Horse, Hound and Human. 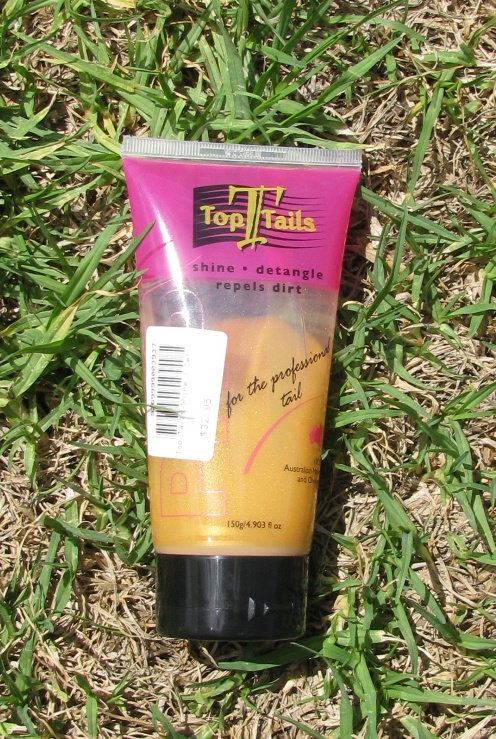 Top Tails has been uniquely designed to be dust resistant, economical, non-oily or coagulating, easy to apply, add great shine and detangle – all in one product. 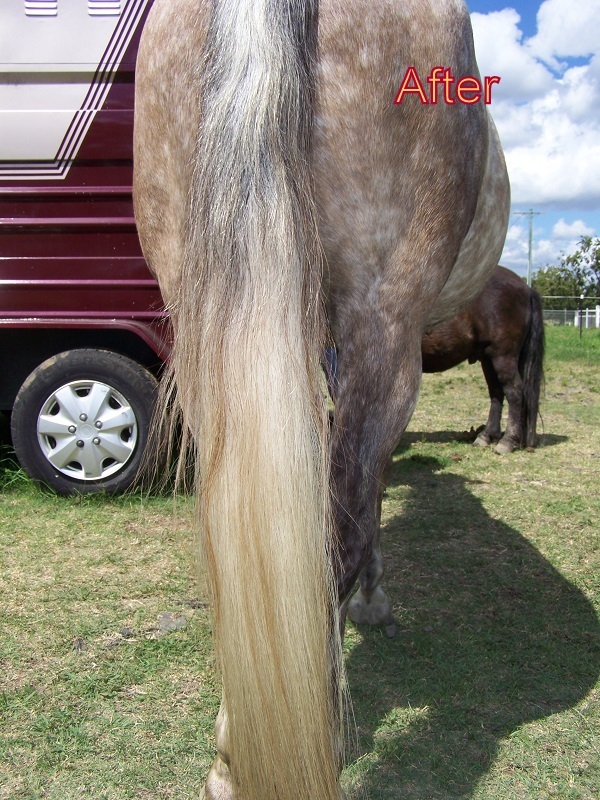 Top Tails also has a long term conditioning effect leaving it soft, supple and manageable for up to two weeks after applying. Top Tails is easy to apply and extremely economical, enabling you to outshine your competitors with half the work. Use it on your horse’s tail. 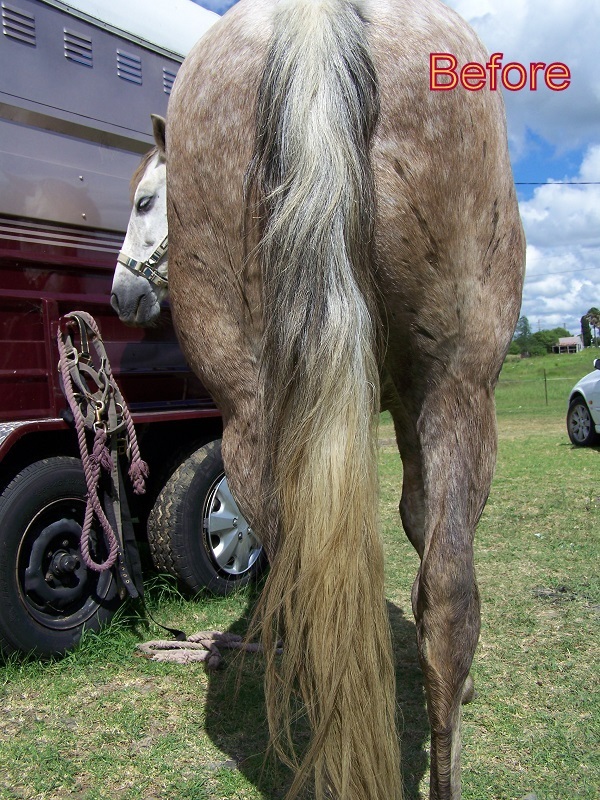 mane, false tail or fetlocks. Use it on yourself, yes that’s right, use it on your own or your childrens hair. Use it on your dog. 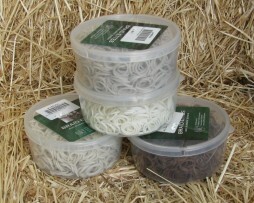 Also used on show cattle and show Cavs (guinea pigs). Economical. Only a very small amount needs to be applied for a long lasting effect. One tube will last ONE year if used fortnightly on an average length tail! That’s less then $3.00 per month for an amazing tail or mane. Makes any colour mane or tail glisten. Maintains the mane and tail that you have because you are not pulling knots out or snapping the hair due to it being brittle. Will not turn a white tail yellow. Smells great – scented with a lovely strawberry scent. 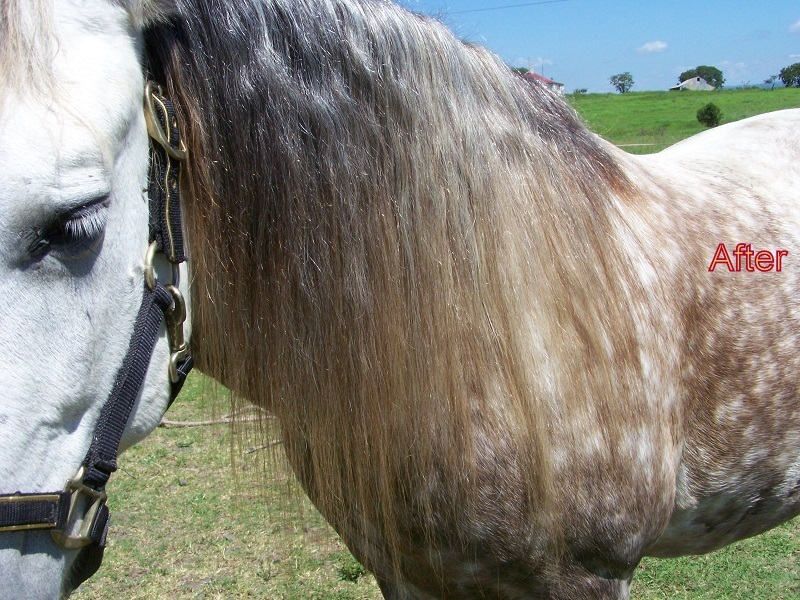 Conditioning effect – leaving your mane or tail soft, supple and manageable for weeks. Also fantastic in reducing rug rub from neck rugs or hoods. Dust resistant. Enabling you to prepare your tail the day before the show, knowing that in the morning you will still have a beautiful soft clean tail. Top Tails is very easy and quick to apply, enabling you to have more time for other things. Adds body to your tail or main instead of flattening. Reduces flyaway and static. Been proven in the show ring that it helps to give you the winning edge over your competitors. Water Saving, You no longer need to condition your tail when washing, because Top Tails leaves your tail feeling soft, silky and conditioned. After applying to your tail you can plait your forelock within a matter of minutes, Top Tails not only absorbs into the hair it also absorbs into your hands leaving them soft without becoming slippery. 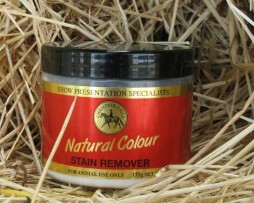 Gives your horse a beautiful soft, knot free, shiny and dust free tail or mane for weeks after one application. 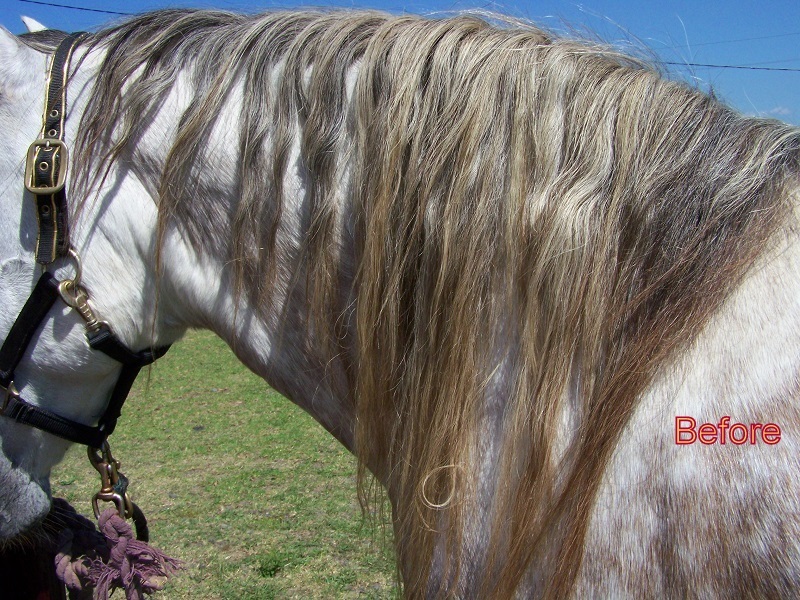 You can use Top Tails not only on horses, but also on your own hair as well as dogs, cattle and calves.